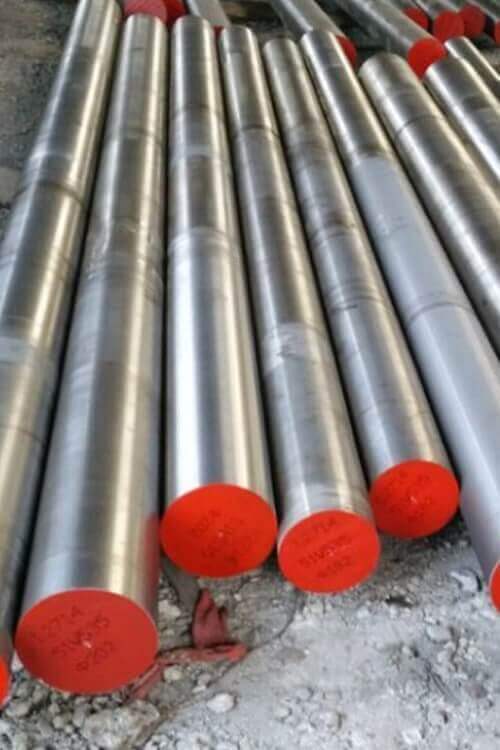 316/316L Stainless Steel Round Bar is mainly known as marine grade, providing pitting resistance and corrosion which also protects these bars from various types of aggressive environmental attacks. This type of prevention helps in making all these bars become the ideal one for multiple applications. They prevent these bars from salty water, chloride attacks, and acidic chemicals medium which are the main destroyer of them. Mainly used in pharmacy and food industry to reduce the maximum contamination effects. These bars show ease in fabrication, clearing and in good resistance to electrical and thermal conductivity. They are good at durability, weight-bearing capability, high strength in weight tolerance make it different from other bars. It can protect themselves from saline water harsh side effects, and also have superior oxidation or corrosion protection. 316/316L Stainless Steel Round Bar are used in piers, beams, supports, handles, braces, walls, ornamental industry. It can contain the lower amount of carbon so that it can prevent itself from corrosion and support in the good amount of welding. They are available in multiple shapes such as they have the square, hexes, round shapes. They have various qualities like ASTM A479, ASME SA479, QQS 763, ASTM A276 and many others. It can have the strong tensile strength and better corrosion protection. 316/316L Stainless Steel Round Bar is made up according to all national and international quality assurance certification and tests. They also offer customized size and shape according to the demand of their clients. They have the very low amount of carbon in it. Stainless Steel 316/316L Bars, SS 316 Round Bars, 316L Steel Round Bars, Stainless Steel 316 Round Bars, AISI 316/316L Stainless Steel Round Bars, SUS 316 SS Round Rods, Austenitic Stainless Steel 316L Spring Steel Bar, ASME SA276 SS 316 Cold Drawn Steel Bar, Standard Size Stainless Steel 316L Hex Rod Supplier, SS 316 Hot Rolled Steel Bars, 316L Stainless Steel BS EN 10058 Flat bars Manufactures in Mumbai India, Alloy 316L BS EN 10059 - Square Bars, 316 Stainless Steel BS EN 10060 - Round Bars, SS 316L ASME SA276 BS EN 10061 - Hexagon Bars, 316 Austenitic Stainless Steel Hot Rolled Round Bars, Stainless Steel 316L Forged Round Bars, 316/316L SS Hex Steel Bars Exporter.